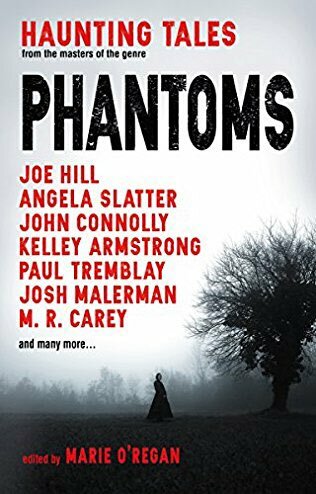 Phantoms edited by Marie O’Regan is an anthology of (mostly) new ghost stories from the likes of M.R. Carey, Gemma Files, Joe Hill, Allison Littlewood and more. The superb lead story, “When We Fall, We Forget” by Angela Slatter, is a beautifully haunting story about a woman, a priest, revenge, and justice. It’s hard to say more than that without ruining the allure of the story, the way the plot is teased out, pulling the reader along until, before you realize it, you have become emotionally invested in what happens. And the rest of the fantastic list, Adventures in Short Fiction: 20 Tales of Terror, by John DeNardo is here. This entry was posted in News and tagged A C Wise, Allison Littlewood, Cassandra Khaw, Edgar Allan Poe, fritz leiber, Gemma Files, joe hill, Joe R. Lansdale, Laura Mauro, M.R. Carey, Marie O'Regan, MIra Graant, Nancy Kilpatrick, neil gaiman, Ramsey Campbell, shirley jackson, stephen jones, stephen king. Bookmark the permalink.